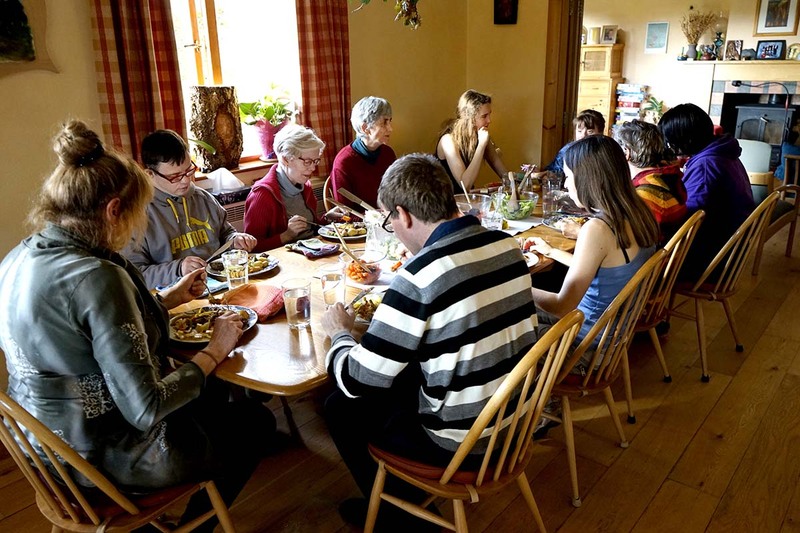 Clanabogan is a supported living service for adults with learning disabilities. There are places for 30 people and you need to be aged 18+. There is no upper age limit for living in the community. You will live in a house and you will have your own room. You will live with other people with learning disabilities. You will also share your house with co-workers who live in the house with you and provide the support you need with personal care and daily living. We also employ support workers. You will be encouraged to be as independent as possible and to contribute to home life. You will also have the opportunity to engage in the work, social, cultural and therapies on offer in Clanabogan. Your activities will be based on your interests and what you like to do. Your family can visit whenever they want to and you can also go and visit and stay with your family. These plans are agreed with you and your family and arranged to suit everyone. If you don’t have any family we also arrange for holidays for you and we will support you. Can I bring my own belongings? We offer furnished rooms. If you prefer, you can bring your own furniture and anything that you would like to have in your room, for example pictures or other decoration. You will be supported to make your room personal and a space where you like to spend time.